I am finally getting around to posting again. It has been a very spotty summer for me with this blog. This is another one of those crazy weeks, but I really feel that it will be good for me to get back on track. My daughter left for China yesterday. She is doing a semester abroad in Shanghai and it was so weird to ship her off until Christmas. Although she has been away from home for two years in college, it just feels so far away now! Life changes too quickly. This has been the first year where it has really hit me that my little girl is growing up. I already miss her and am so grateful for wifi and international texting because I am not sure I could bear not being able to chat with her. On top of that, my son was offered a spot at a Golf Academy for high school. We visited the school this summer thinking that we were looking at it as a potential post-graduate year after high school and then, within a two-week time-frame, he decided to go away to school THIS year. I went from thinking I was going to have my son home with me for two more years, to having my son home with me for three short weeks. I can’t even begin to express how much I am going to miss my buddy. So, talk about a busy summer – my emotions have been all over the place! Lots of big life changes. Who knew that by the ages of 15 and 18, both of my kids would be moving out of our home and changing my life so completely. Although life will be different for me, I am happy that both of my children are pursuing their dreams and experiencing so many exciting life adventures. Time for new adventures for me as well. I am posting a song today by one of my favorite artists. I love Ben Rector! This song is from his 2013 album, The Walking In Between. Ben Rector writes incredible songs and totally captures “the moment.” This song makes me think of my family and this particular moment of ours. 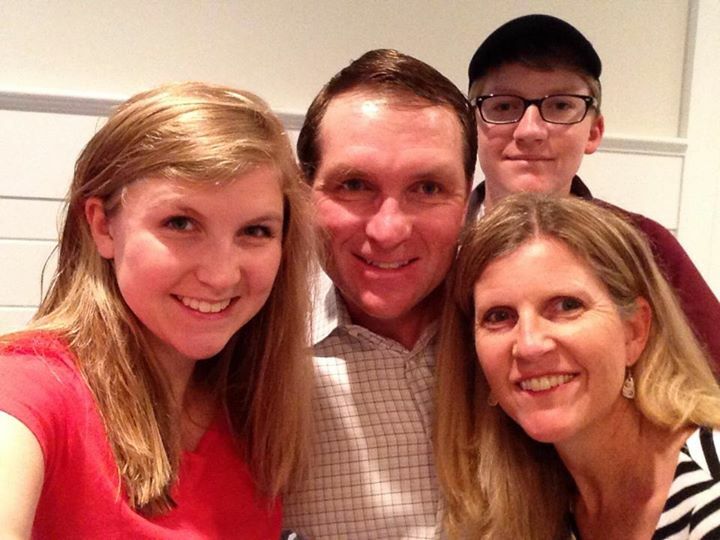 On Monday, we were all home together – a family of 4. By Tuesday morning, we had become 3, and in just a few more days … we will be 2. I love my family and being with them brings a purpose to my life that I never expected. Enjoy this fabulous song.